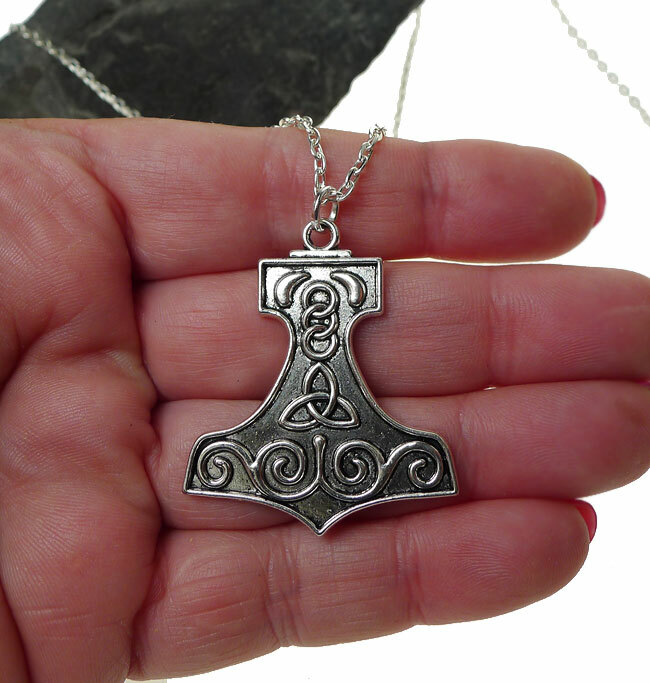 Thor's Hammer Symbolism / Thors Hammer Lore - Thor's Hammer (also called Mjollnir) is a symbol of protection, creativity, and fertility. 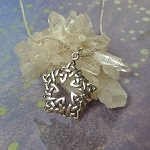 Often used to hallow things and people, including the Bride at weddings. 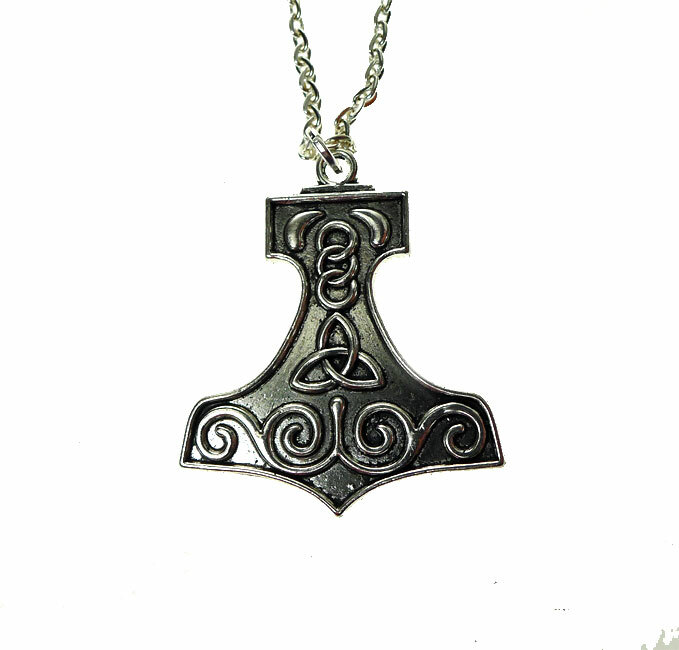 In essence the hammer symbolizes holiness, lightning and enlightenment. 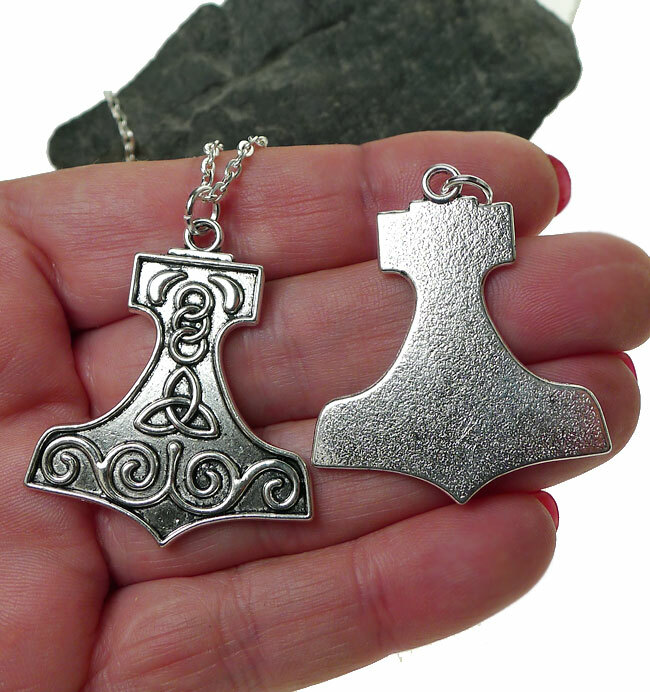 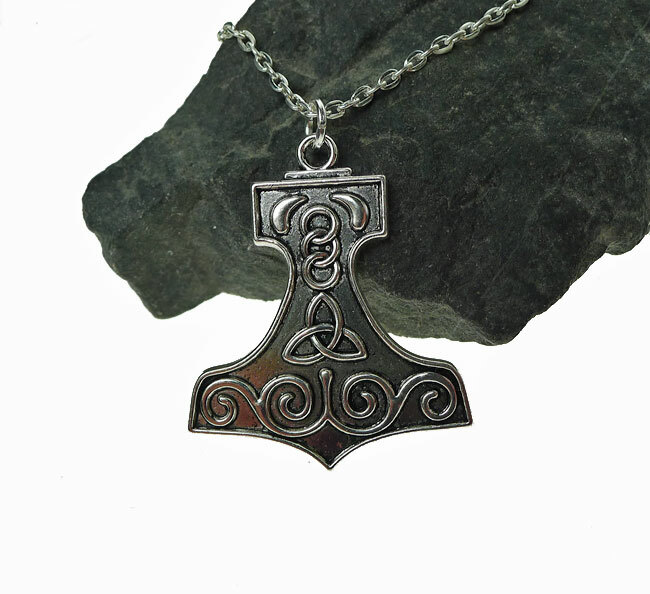 It is a creative tool, like a blacksmith's hammer, and is used as a weapon of war only against the forces of cosmic chaos symbolized by the Giants -- against which Thor fights in many Norse myths.